Francine Houben, Creative Director and Founding Architect of the Dutch firm Mecanoo, delivered the 2011 Eleanore Pettersen Lecture. Houben discussed her office’s present work as well as delving into her own design philosophy. The concluding Q&A with Annabelle Selldorf, which drew out further project details and anecdotes, was followed by a reception hosted by the School of Architecture in the Peter Cooper Suite. This series was established in honor of Cooper Union alumna Eleanore Pettersen, who attended evening courses at the school from 1937 to 1941. 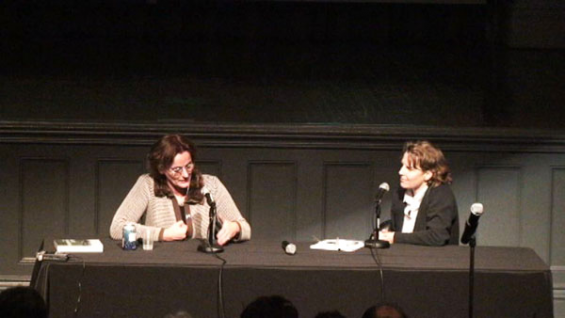 Dedicated to the voices of women in architecture, the lectures are a lasting tribute to Ms. Pettersen, her significant impact in the world of architecture, and her love of The Cooper Union.